A COMPELLING SOLUTION TO ENDING THE TRAGICALLY HIGH DEGREE OF POVERTY AND SOCIAL DYSFUNCTION AMONG CANADA’S FIRST NATIONS PEOPLES: LEGAL EQUALITY! For decades Canada’s indigenous and non-indigenous elites have been mindlessly doubling down on the apartheid-like, “separate but equal” dysfunctional status quo that has so harmed the vast majority of vulnerable, marginalized indigenous Canadians: all to no benefit! Author-lawyer Peter Best offers as a compelling alternative the Nelson Mandela solution: complete legal equality with the rest of Canadians-the necessary precursor to social and economic equality- by amending the Canadian constitution, repealing the Indian Act, converting the reserves, and ending all the other special rights and entitlements that have so oppressed them. Mr. Best also issues a strong warning against the serious diminution of Crown sovereignty by our Supreme Court and our politicians, resulting in a serious threat to the rule of law, serious economic harm, and harm to our national welfare generally. Peter Best is a lawyer who has practiced law in Sudbury, Ontario for 43 years. Raised in nearby Espanola, favored with lifelong personal and professional relationships with indigenous Canadians, he brings a personal, literary and historical perspective to the greatest social crisis experienced by Canada today- the perilous state of its original peoples. From Chapter 3, The Separate But Equal Doctrine. “A State which has drawn a colour line may not suddenly assert that it is colour blind.”- U.S. government submission in a 1960 racial discrimination case. “If apartheid were measured by results rather than intent, we would have it on reserves today.” –Indigenous writer and businessman Calvin Helin, from his book Dances With Dependency. From Chapter 4, Assimilation and Cultural Loss. “Real Indian culture is just about dead on the reserves.” –Indigenous AFN co-founder and pioneering indigenous lawyer, William Wuttunee, from Ruffled Feathers– 1971. From Chapter 5, An Issue of Freedom of Speech. From Chapter 6, Pre-Contact Indian Culture and the Shock of the New. “What horrors of damp huts, where human beings languish, may not become picturesque through aerial distance.”- Novelist George Eliot. From Chapter 7, Still Waters Stagnate. From Chapter 8, Taking a Longer View of Time. From Chapter 9, The Violence and Dispossession Caused By Migrating Peoples. “Why not consider the coming of the Europeans as a fourth migration, a new set of tribes pushing others in front of them?Should we hesitate to do so because the European colonists had lighter-coloured skin, hair and eyes than the older inhabitants? At bottom the assertion of a right of self-government is a kind of racism. It contends that the only legitimate inhabitants of the Americas have been the Indians and the Inuit. 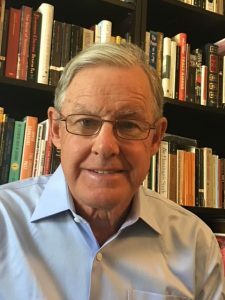 According to this view, they had the right to drive each other from different territories as much as they liked, even to the point of destroying whole peoples and taking over their land, but Europeans had no similar right to push their way in.” – Professor Tom Flanagan, from his book First Nations? Second Thoughts. From Chapter 10, Great Britain: A Conqueror With A Conscience. From Chapter 11, The Grant of Legal Rights To Canadian Indians. From Chapter 12, The Essential Humanity of the Migrators to Canada. From Chapter 13 The End Times of Indian Cultures in Canada. “The crows tell me” he says to the few men left, “that I shouldn’t listen to my dreams, that I should only listen to the crows and the Great Voice. But I can no longer ignore my dreams…my dreams tell me that it won’t be long,” he says, “before fires consume this country.” The last of the donnes walk out. Aaron looks at us three Jesuits. “My dreams tell me the end of this world I know is near.”-Joseph Boyden, The Orenda. “The civilized world is intolerant of primitive peoples, whom it has neither the time nor the patience to protect and train for three or four generations until they can bridge the gap between the old conditions and the new. So the world is strewn with their wreckage…”- Dr. Diamond Jenness, 1932, from The Indians of Canada, published, 1932-1972, by the National Museum of Canada. From Chapter 14, The Myth of Nation to Nation Dealings. From Chapter 15, The Treaties: Fairly Made and Honourably Implemented. From Chapter 21, Common Themes (of the Robinson-Huron, Manitoulin, Manitoba, North-West Angle and Prairie treaties). From Chapter 22, The Emasculation of Crown Sovereignty. From Chapter 23, The Haida Nation Case. From Chapter 26, Dancing With Danegeld. “When you are talking about projects that could have a profound impact on the lives of First Nations people, you don’t just talk to us. You’re going to need our permission before anything goes forward. That’s just a fact of life.”- Art Sterritt, Coastal First Nations of B.C. “When kings fail to do their jobs and regulate the markets properly, it leads to loss of trust, dwindling credit and economic depression.”-Yuval Noah Harari. From Chapter 27, The Attack on Law and Order. From Chapter 33, The 2012 Algonquin Land Claims Settlement Agreement: The Deal of the (19th) Century. From Chapter 34, The Imperative of Sole Crown Authority. From Chapter 35, Indian Reserves as Tax Havens and Places of Privileged Fiscal Immunity. From Chapters 36, 37 and 38, A “First Nations” Education. “Segregating children from others solely because of their race generates a feeling of inferiority as to their status in the community that may affect their hearts and minds in a way unlikely ever to be undone. The impact of segregation is greater when it has the sanction of law. A sense of inferiority affects the motivation of the child to learn. Segregation with the sanction of law tends to impede the educational and mental development of children and deprives them of the benefits they would receive in an integrated school system.” -Chief Justice Earl Warren, United States Supreme Court, in Brown vs. Board of Education, 1954. “Canada succeeded by actively supporting ethnic and religious multiculturalism, believing that children educated together in the country’s public schools and hockey arenas would emerge as integrated citizens.”- Erna Paris, in From Tolerance to Tyranny. “Indigenous teachings” is just another phrase denoting romantic, baseless, anti-intellectual, non-scientific, new-age malarkey. From Chapter 39, Indian Reserves: Canada’s Gated National System of Gated Communities. From Chapter 40, Setting Indians Free From Their Past. “The current problem is that many indigenous leaders still seem to be stuck in grieving mode when the time to move on has already come and gone.”- Indigenous writer and businessman Calvin Helin. “You may have heard 7000 negative stories about residential schools. But what you haven’t heard are the 7000 stories that were positive stories.”- Indigenous novelist, playwright and pianist Tomson Highway. From Chapter 41, Rethinking The Honour Of The Crown” Principle. From Chapter 42, Our Liberal Values. From Chapter 43, The Myth of Race and Racial Differences. “For all practical purposes race is not so much a biological phenomenon as a social myth. Biological studies lend support to the ethic of universal brotherhood.”- Sir David Cannadine. From Chapter 44, The Amygdala Factor: Our Civic Duty To Give No Legal or Political Effects to Race-Thinking. From Chapter 46, Why Bother? “For the past 40 years we have been plowing money into the programs. We have no evidence that it’s working.”- Joe Wild, Senior Assistant Deputy Minister for Indigenous and Northern Affairs, 2016. 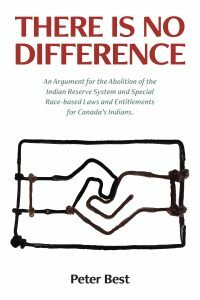 “Many Aboriginal youth feel that they are “conquered subjects” of a systemic and antiquated form of government suited to the benefit of the elites and paid for on the backs of the suffering grassroots indigenous people.”- Indigenous writer and businessman Calvin Helin, from his book, Dances With Dependency. From Chapter 47, Amending the Constitution and Overiding Haida Nation Jurisprudence. From Chapter 48, Ending the Reserve System and Race-based Laws. “It is imperative that Indians should have full equality before the law. The provisions of the Indian Act do not give them equality. They are saddled with disadvantages which hound them continually in their daily lives. Their problems cannot be attributed to white Canadians only. It is a problem which lies on the shoulders of everyone. Canada must be prepared to repeal the Indian Act completely.” – William Wuttunee, indigenous AFN co-founder and pioneering indigenous lawyer. “To my compatriots, I have no hesitation in saying that each one of us is intimately attached to the soil of this beautiful country. Each time one of us touches the soil of this land we sense a personal renewal.